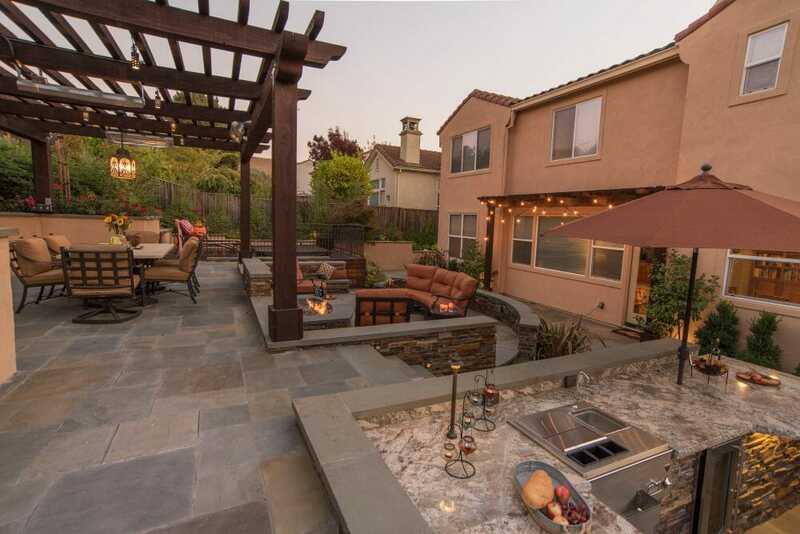 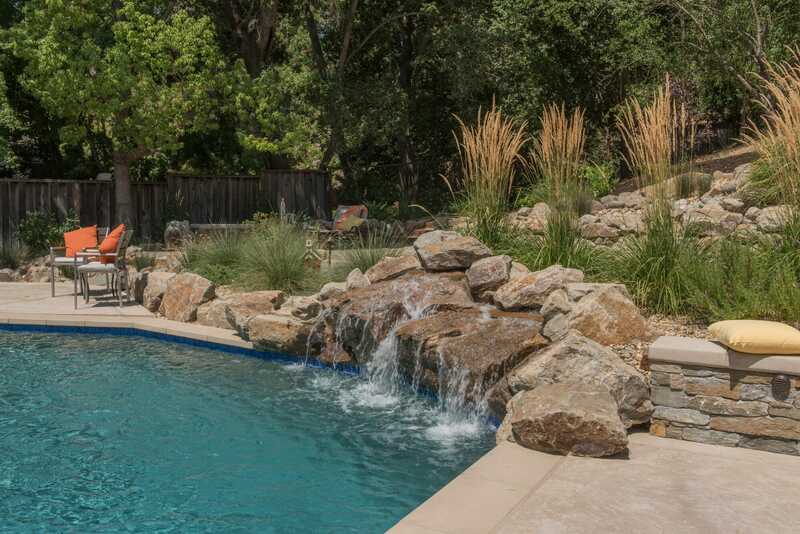 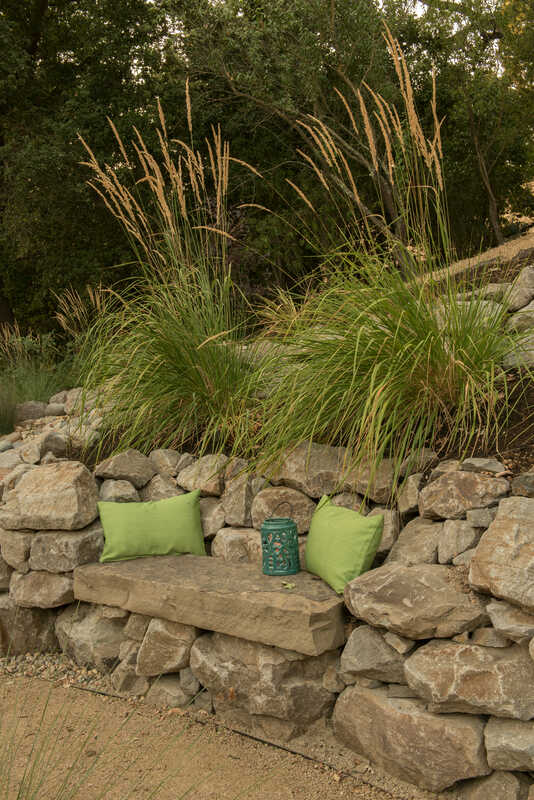 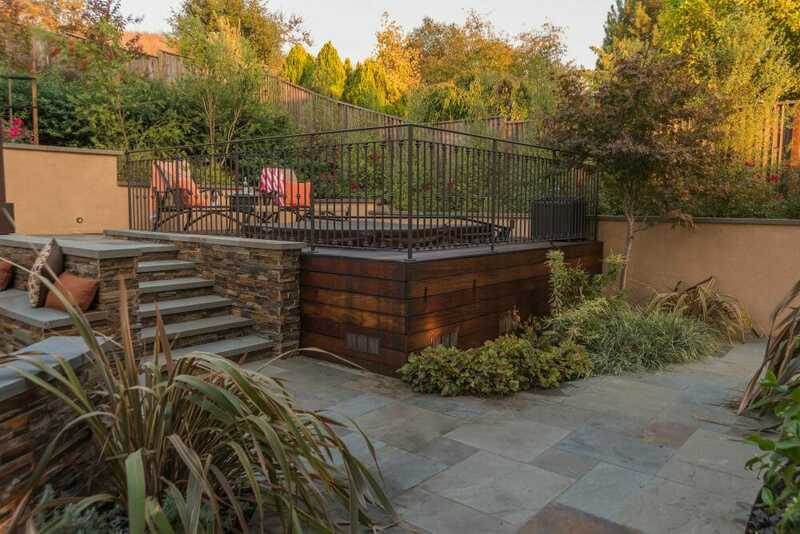 Gather around the welcoming fireplace for an evening in this San Ramon back yard. 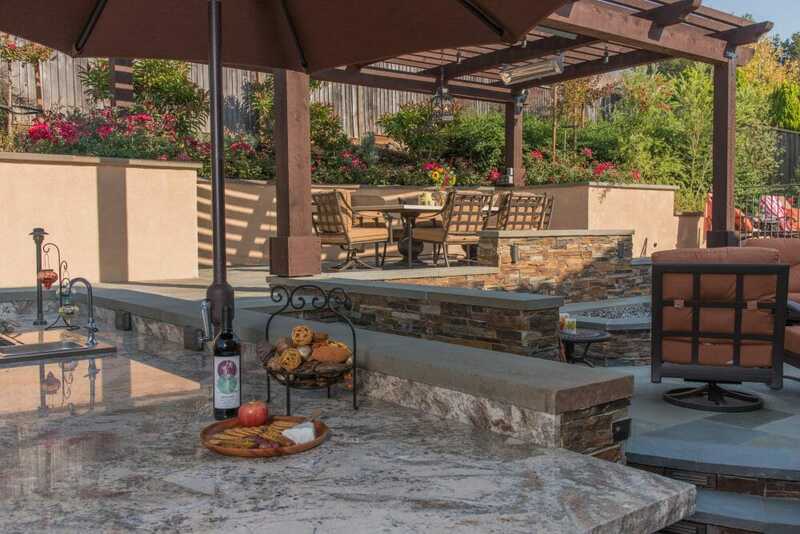 Enjoy the warmth of good wine and great friends at the bar while a hand-tossed crust perfects in the pizza oven. 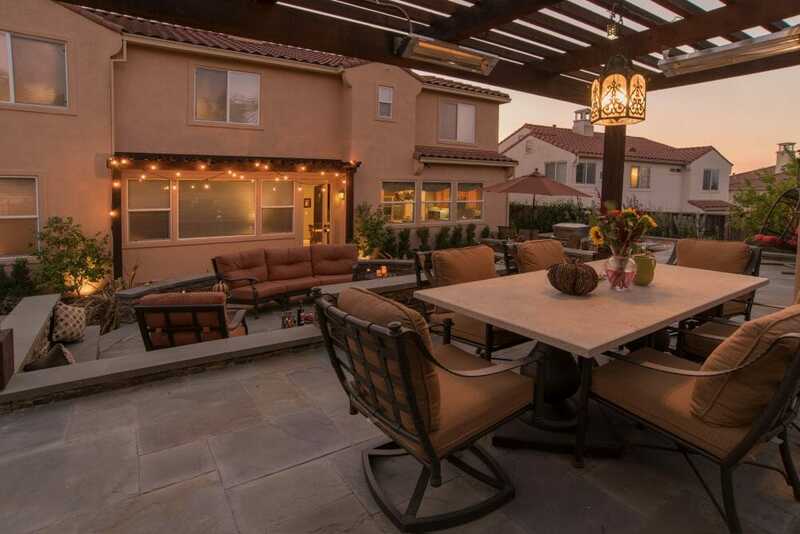 Take in the rosy sunset during dinner with the family under the heated pergola. 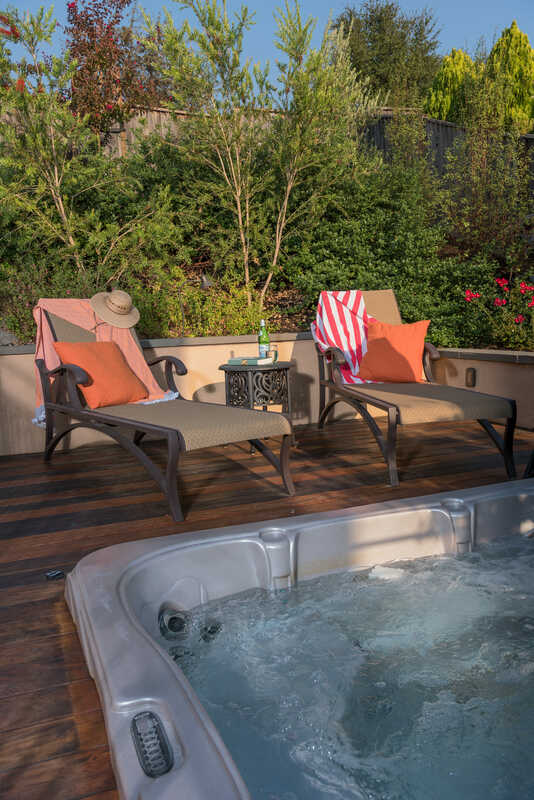 When it gets dark, count stars together late into the night from the warmth of the hot tub. 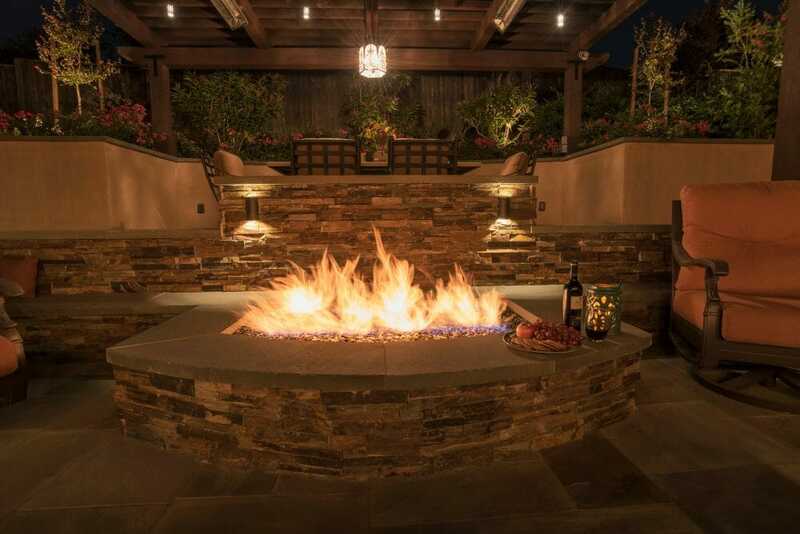 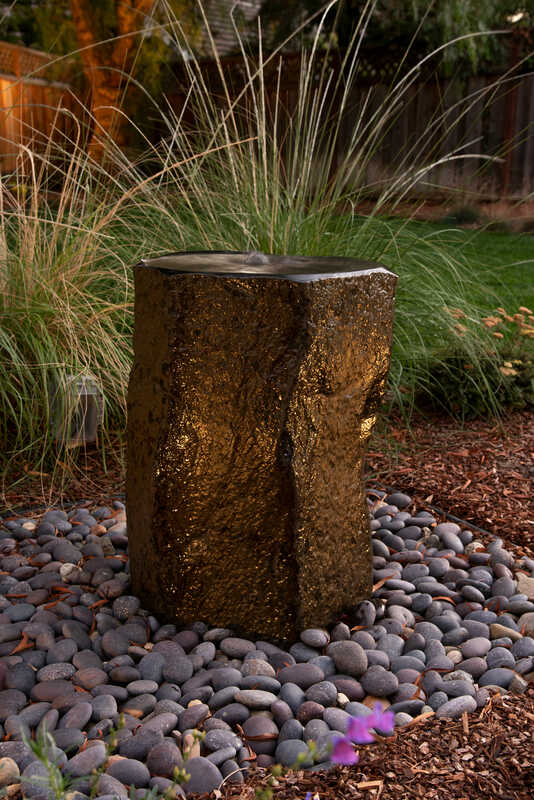 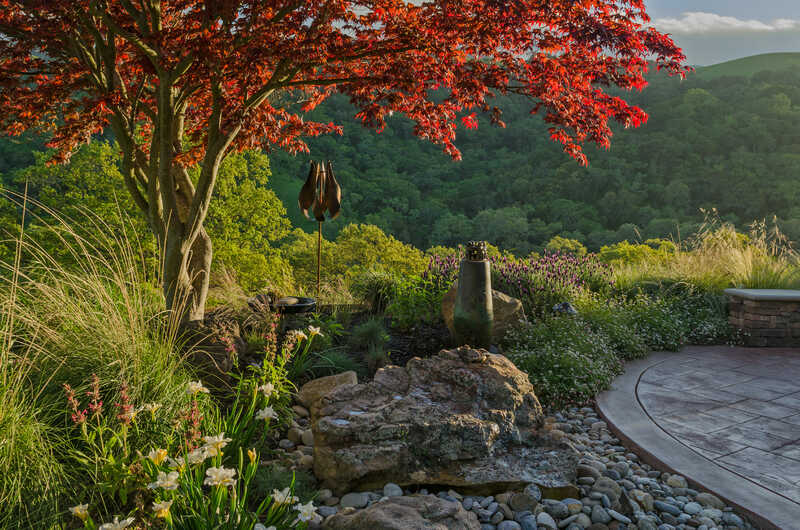 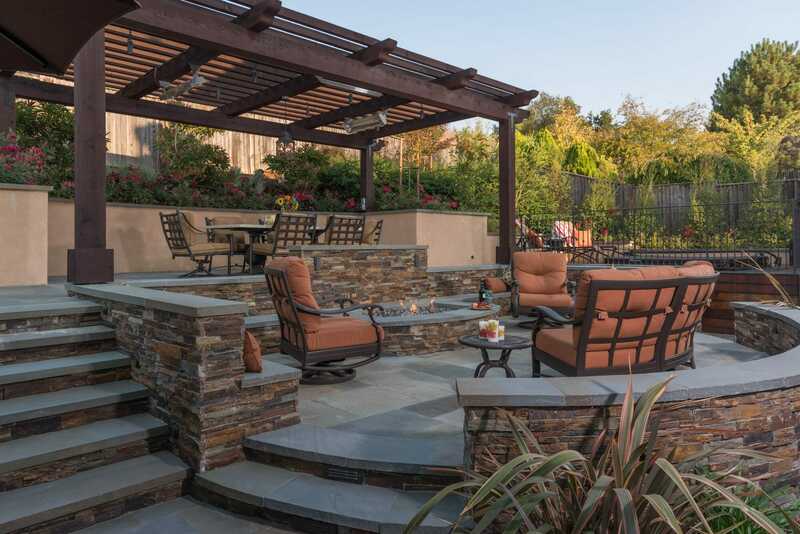 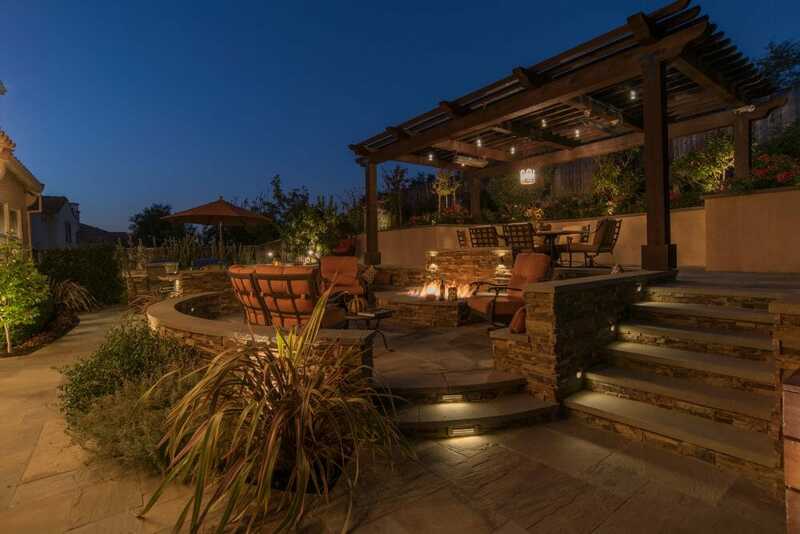 Whether it’s the pleasant glow of the landscape lighting or the way these elegant spaces naturally bring people together to make the best memories, this gorgeous San Ramon backyard feels warm and cozy even the coldest of winter nights.